AFSIC is fast becoming the premier investor event for Africa. Its mandate helps broaden horizons and broker new partnerships focussed on good quality, long-term investments in Africa. 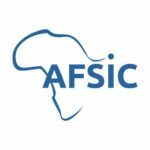 AFSICaims to unlock a valuable dividend for both investors and companies operating within the new dynamic African economic environment.AFSIC is fast becoming the premier investor event for Africa. Its mandate helps broaden horizons and broker new partnerships focussed on good quality, long-term investments in Africa. AFSICaims to unlock a valuable dividend for both investors and companies operating within the new dynamic African economic environment.